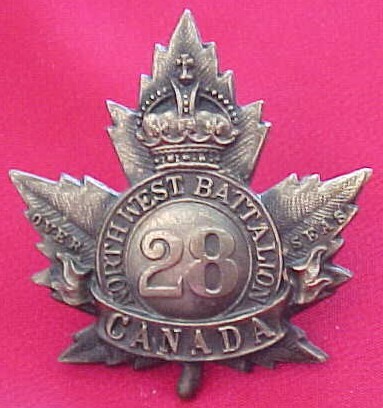 Perpetuates the 28th, 68th and 195th Battalions, Canadian Expeditionary Force, 1914-1919, and the 12th Machine Gun Battalion, CMGC. 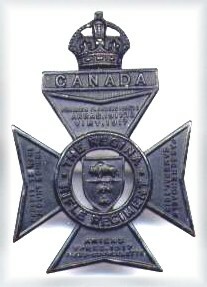 28th Bn, C.E.F.- "Mount Sorrel, Somme, 1916, '18, Flers-Courcelette, Thiepval, Ancre Heights, Arras, 1917, '18, Vimy, 1917, Scarpe, 1917, '18, Hill 70, Ypres, 1917, Passchendaele, Amiens, Drocourt-Queant, Hindenburg Line, Canal du Nord, Cambrai, 1918, Pursuit to Mons, FRANCE AND FLANDERS, 1915-18"
VC won by Lt R.G.C. Combe on 3 May, 1917. 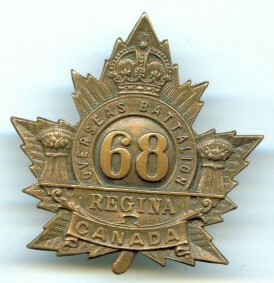 The Regina Rifle Regiment - "Mount Sorrel, Somme, 1916, '18, Flers-Courcelette, Thiepval, Ancre Heights, Arras, 1917, '18, Vimy, 1917, Scarpe, 1917, '18, Hill 70, Ypres, 1917, Passchendaele, Amiens, Drocourt-Queant, Hindenburg Line, Canal du Nord, Cambrai, 1918, Pursuit to Mons, FRANCE AND FLANDERS, 1915-18"
Up the Johns! 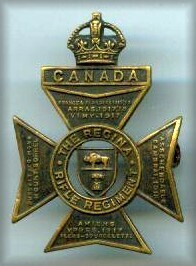 : the story of the Royal Regina Rifles/ by Stewart A.G. Mein. 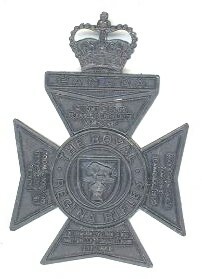 Regina: Senate of the Royal Regina Rifles, 1992.